Digital marketers now have the ability to easily manage, improve and report on their own Facebook and Instagram advertising with the newest feature from Rival IQ. Unlock campaign opportunities – Pinpoint targeting improvements through alerts and comparisons, and take action to maximize budget. Bolster performance – Improve ad performance, and save time with clear and comprehensive analysis. Solve reporting pains – Produce complex campaign reporting in less time and with less effort. Facebook’s native tools can be overwhelming and difficult to decipher. Because of that you know you could be doing more to maximize your budgets, but don’t have the time to dive into the data. With Facebook Ads Analytics we bring you the most important data you need to refine your campaign, maximize your budget and as always, save you time. 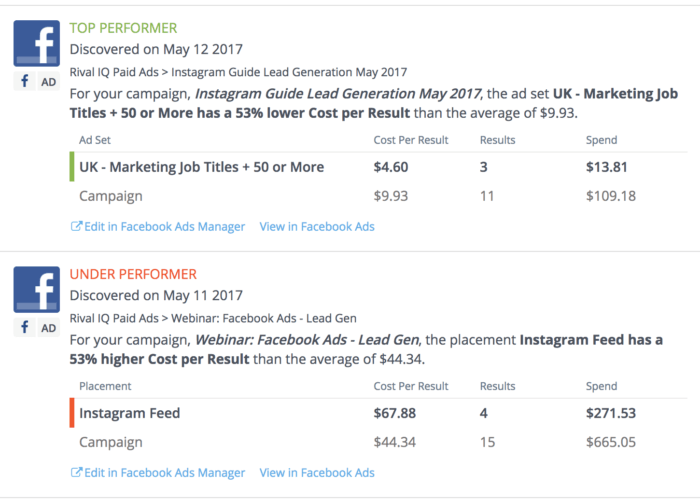 You’ll be able to test and compare your ad campaign performance and know whether carousel or static images ads perform better for your brand. These alerts will notify you via email when a campaign is experiencing unusual performance, whether it’s killing it or needs adjustments. From each alert, you’ll be able to go straight into Rival IQ to dive into the data deeper, or we’ll also link directly into your Facebook Ads Manager where you can adjust your campaign as needed. As Rival IQ is checking your campaigns throughout the day, we’ll send you alerts only when there are significant outliers. You can’t get these notifications from anywhere else, including Facebook. You already rely on Rival IQ scheduled reports, so we’re extending that reporting to Facebook Ads Analytics. You’ll be able to coincide these reports with internal reporting cadences or build reports on specific campaigns. Whatever your reporting needs are, you’ll be able to set these up with ease. Breakdown and spot targeting opportunities based on Age & Gender, Ad Placement, Platform, and Region. With Rival IQ visualizations, we make it easy to spot issues and successes in your ad targeting. You’ll be able to pinpoint targeting areas that are increasing your cost per a click. 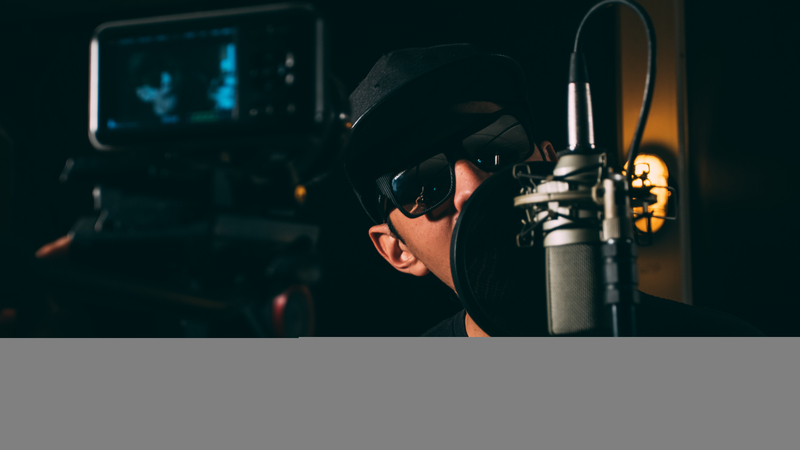 See those issues and jump straight into Facebook Ads Manager to adjust your campaign. Your reporting needs shift based on your internal audience. With Rival IQ you’ll be able to create reports for what you need, whether it’s on the account level, campaign level, or ad set. The customized reporting even enables you to create campaign comparison or custom breakdown reports. For each breakdown you’re able to edit the metrics, making it easier to focus on what matters most to you. Choose where spark bars appear and the order the appear in. Plus you can easily change this for each ad account, campaign or even ad set. Choose what emails you get for each landscape, ensuring that what emails you receive are the most important. Reporting on Facebook Ads has never been this easy. You’ll notice data points that are hidden in Facebook, and your campaigns will be easier to manage. 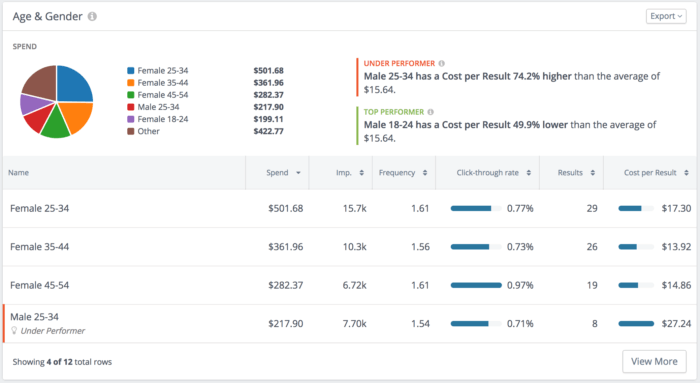 The Facebook Ads Analytics feature is available with the Accelerate package. But you can try it today, start a free trial, and we’ve opened it to all customers until June 7th – check it out.